Fante Eye & Face Centre in Denver, Colorado specializes in Facial Plastic Surgery and Oculoplastic Surgery. Our goal is to help our patients look and feel their best. 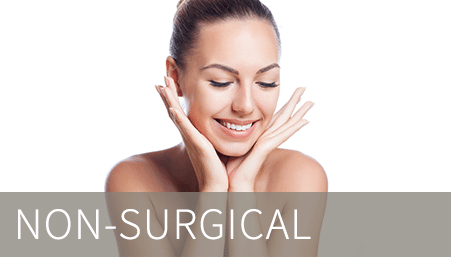 We offer cosmetic surgery, reconstructive surgery, and non-surgical treatments. Dr. Fante and his team provide first-class attention to serious medical problems such as, orbital tumors, eyelid trauma, orbital fractures, eyelid ptosis and more. In addition, we offer a number of cosmetic enhancements including eyelid surgery (blepharoplasty), facelift, brow lift, neck lift, dermal fillers, botox and many more. If you would like to learn more about the procedures we offer, please call (303) 839-1616 to schedule a consultation at our office in Denver. We look forward to meeting with you and helping you achieve your goals! Dr. Robert Fante is an extraordinarily knowledgeable and accomplished board-certified physician practicing in Denver, CO. He loves working with people to help solve their problems and is undaunted by complex diseases. Dr. Fante combines his expertise in surgery with an artistic sensibility and genuine compassion to give you the appearance you’ve always desired. Extensively trained in both facial surgery and oculoplastic (eye area) surgery, he’s a specialist in laser eyelid surgery, orbital diseases, and facial cosmetic surgery. Dr. Fante has worked tirelessly for six years with The American Society of Ophthalmic Plastic and Reconstructive Surgery. ASOPRS announced in 2018 that Dr. Robert Fante has been elected President for the year 2021. This is an incredible honor and the team at Fante Eye and Face Centre is so proud of Dr. Fante and his accomplishments. Have you ever looked in the mirror and pulled up your cheeks or your neck to more youthful positions and wished they would stay there? 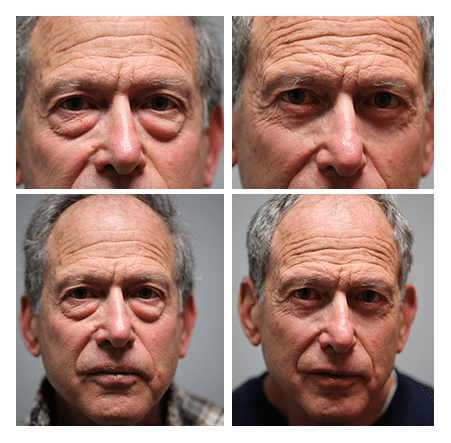 Do you have baggy or sagging eyelids that could use a tune-up? With the latest technologies and the best proven cosmetic surgery procedures, you can enjoy improvements like these after treatment by Plastic Surgeon, Dr. Fante. From subtle transformations to major changes, our goal is to help you look refreshed, rejuvenated and rested. Our highly customized approach is based on your individual needs and objectives. Cosmetic surgery procedures we offer include eyelid surgery, facelifts, brow lift, otoplasty, fat grafting and more. Dr. Fante is a highly trained, internationally respected oculofacial plastic surgeon who uses the latest surgical and laser technologies and a meticulous approach to bring your body back to a comfortable, functioning state. Ailments that have been successfully treated at the Fante Eye and Face Center range from orbital tumors and facial fractures to eyelid cancer, Graves’ disease, and blocked tear ducts. Click here to learn more about what Dr. Fante can do for you. Are you ready to look refreshed and more rested? Do your friends ask if aren’t sleeping well even after a full night of sleep? You might be surprised at how easy it can be to rejuvenate your face without surgery! We offer a variety of cosmetic enhancement treatments that can reduce and improve the signs of aging. Dr. Fante’s goal is to give you a natural looking result, either through rapid or more gradual steps. Learn about some of the non-surgical options we offer. The staff at Fante Eye & Face Centre includes highly experienced paramedical professionals, certified surgical assistants, and medical technicians. Working closely with Denver Plastic Surgeon, Dr. Fante and his team helps to make sure that your experience is a positive one, from the moment you walk through our door to your last follow-up visit. We’ll explain your options and provide thoughtful advice after a careful evaluation of both your medical and personal needs. You can then make an informed decision about surgery or other available treatments. Appearance is one aspect of wellness. Our goal is to achieve a result that’s right for your face and for the way you look at life. If you’re interested in learning more about eyelid surgery, cosmetic surgery, eyelid lift, facelift, eyelid tuck, necklift, puffy eyelids, brow lift, plastic surgery, blepharoplasty, or any other cosmetic or reconstructive surgery, in Denver or Boulder, Colorado, contact Dr. Fante for an initial consultation.